North York is today a suburban district in Toronto, Ontario. Found directly north of Old Toronto, it is situated between Scarborough to the east and Etobicoke to the west. It represents a wildly interesting part of Toronto that has really grown into a city within a city. Depending on one’s perspective, North York can be classified into many districts or areas and is culturally, ethnically and demographically diverse. What Does North York Offer to Residents and Tourists? There is tons to see and do when in North York. Just some examples include visiting the Black Creek Pioneer Village, which takes visitors back in time to discover what life was like in early Ontario during the 1800s. The Edwards Gardens and the Toronto Botanical Gardens is another, which is 35 acres of 20th century naturalistic parklands famous for wildflowers, roses, seasonal perennials and rhododendrons. The Ontario Science Centre is ideal when it comes to exploring science in a fun and exciting way. The Mel Lastman Square should also not be missed when in North York, as it is a beautiful park boasting 1,900 square metres of open space, a reflecting pool, fountains, an outdoor amphitheatre and a garden court. The Toronto Centre for the Arts is also an ideal place for art lovers. It is a contemporary arts complex that showcases Broadway musicals, plays and live orchestras on 3 different stages. Like any bustling city brimming with human presence and activity, various wildlife has learned to tag along and has adapted to benefit from it as well. This has led to an increase of wildlife presence in the urban North York in recent years, so don’t be surprised to discover signs of wildlife activity in your attic, crawl space or other area of residence. Among the species of wildlife that may prove problematic for you are brown bats, raccoons, skunks and squirrels. Should you find such creatures taking shelter in your current place of residence, keep in mind that a wildlife control professional who focuses on humane removal and exclusion techniques is required in order to take care of the problem. As a result of pests and animals becoming bolder, adapting to human activity and learning to thrive because of it, many home and business owners are unaware of the potential dangers of being around uncontrolled wildlife. Wild creatures such as the previously mentioned are often carriers of diseases that can be transmitted to humans. Additionally, wildlife can wreak havoc in pretty much all structures if left unchecked, which can result in thousands of dollars of damage. That is why a wildlife control specialist is the right answer to your invasion problem. When on the market for a reputable and effective wildlife control specialist, look no further than Skedaddle Humane Wildlife Control. 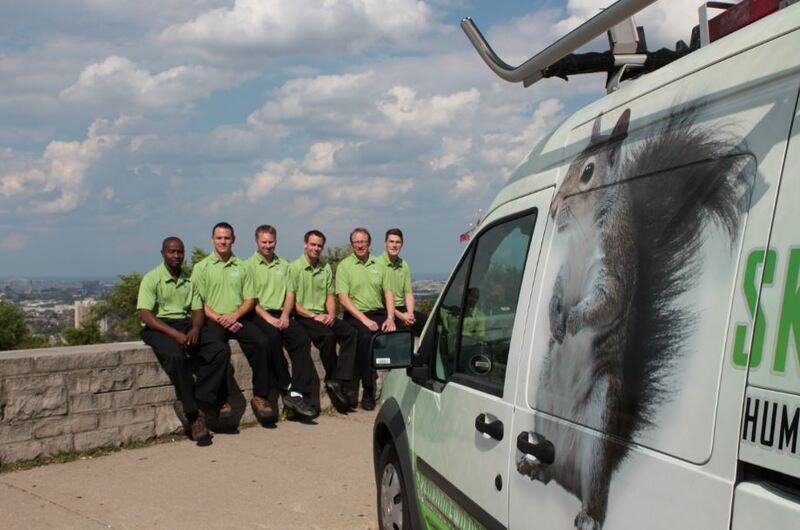 Skedaddle has more than two decades of experience dealing with all sorts of wildlife infestation situations and has a successful track record to prove it – one that involves more than 200,000 satisfied home and business owners to date. Skedaddle not only focuses on removing adult and baby invades humanely, but also provides sanitization and future-proofing services as well. If you’re faced with a wildlife infestation problem in your North York place of residence, contact Skedaddle’s local office immediately.